CHECHESMITHNATION : New Ink Alert via Rihanna! 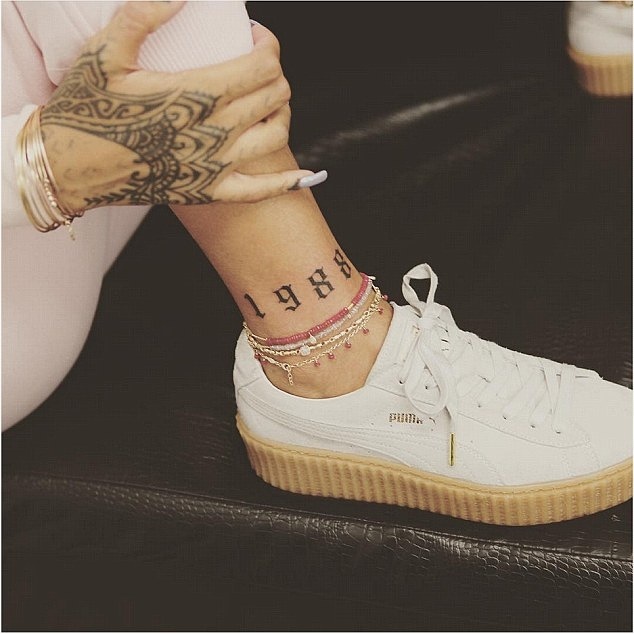 Spot that stylish ink and it's on no other but Rihanna's ankle. She got this new ink few days ago, and we give all the thanks to the Celebrity tattoo artist Bang Bang of NYC. We are also in love with her platform lace-up shoes.